"It's the exact same story as with Ukraine. Only back then, the incentive towards development was victory in Elista, and in Azerbaijan - the upcoming Olympiad in Baku in 2016. Thus, the situation in Azerbaijan is far more complicated than in the Ukrainian national team: there is generally no replacement. 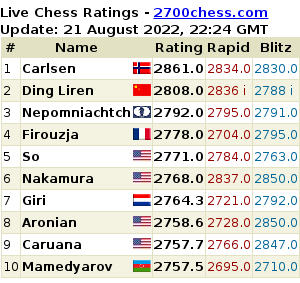 We have three very strong chess players, but Vugar Gashimov is having serious health problems, and it's unclear whether he's having a temporary pause, or if he'll able to play in the future at all... 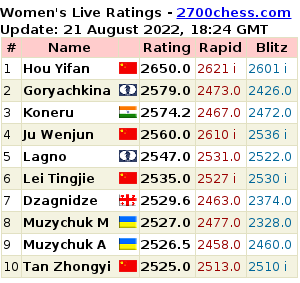 So, today Azerbaijan has two players of the world elite and three decent grandmasters from the top 100. And after them - no one at all. It is very difficult to fight for top places with a team like this, and I have offered a complex training program for 2016, that was rejected by management. " In his commentary to our website Tukmakov explained that his contract with the team ended in September 2012 and was not extended.